Five main topics at Fab14 promise to create a big impact in the region: FOOD, MOBILITY, MACHINES, MONEY AND ACCESS. Speakers and moderators, such as Neil Gershenfeld, Sherry Lasseter, Claudette Irere, and Paulo Rosa, will delve into these topics at Fab14 in France this week. The overarching motto “Fabricating Resilience” sets the stage for sharing experiences and creating a collaborative network. This year, the FAB14 conference will be spread out over multiple locations. 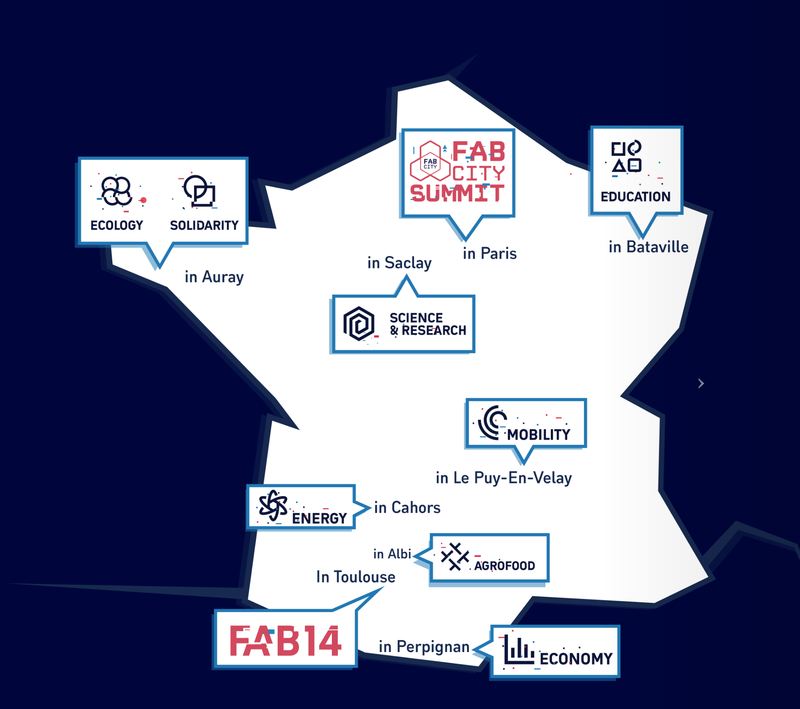 Fab City Summit from July 11-13, Fab Distributed all over France, July 14th and 15th (8 location and themes to choose from: AGROFOOD in Albi, ECOLOGY in Auray, ECONOMY in Perpignan, EDUCATION in Bataville, Grand-Est, ENERGY in Clermont-Ferrand, MOBILITY in Le Puy-En-Velay, SCIENCE AND RESEARCH in Paris, and SOLIDARITY in Auray) that will allow participants to discover different parts of France. Finally, the FAB14 main event in Toulouse, France, will be held July 16-22 at the Pierre Baudis Convention Center with “Fabricating Resilience” as its central topic. Thanks to technology, the French culture and society are becoming more and more integrated into the world, generating a sort of understanding to alternative ways to grow as a country, society, and community. This event aims to gather people from the global network to debate and build the Fab Lab Network and to build a networking environment. The most distinguished investigators and specialists from all over the globe are invited, generating activities and traversal impact in the city of Toulouse. Join the team at FAB14!